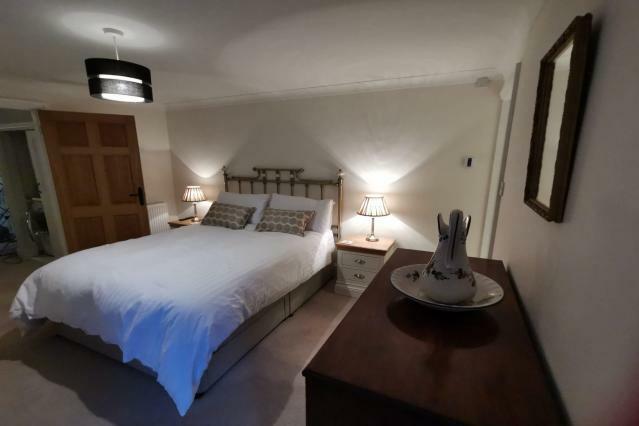 Two Grooms Cottage in Dunster (Somerset) is an interesting period property offering spacious accommodation for up to 6 guests in a fabulous location just a minutes walk from the High Street in Dunster. 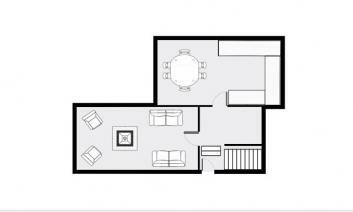 The property comprises three bedrooms and two bathrooms. 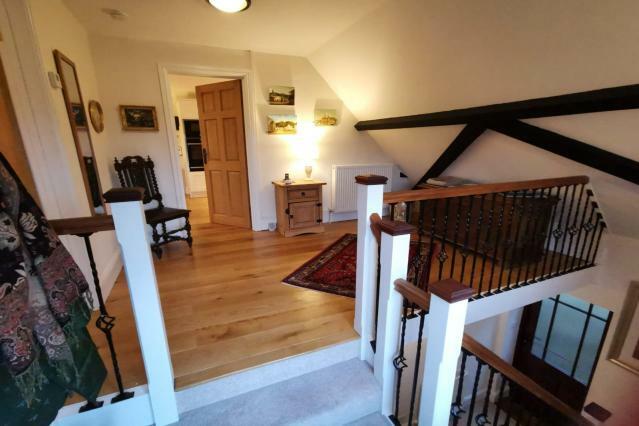 Two Grooms Cottage offers beautifully presented accommodation that is split between two levels; entering through the front door on the upper level there a spacious entrance hallway providing plenty of rooms for shoes and coats, etc. 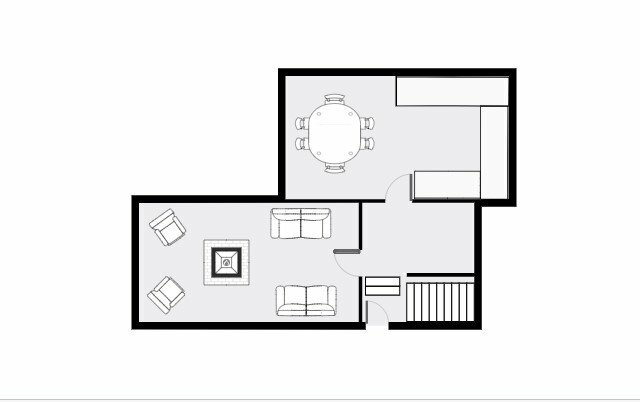 The open-plan kitchen with dining room and separate sitting room are arranged on the first floor. 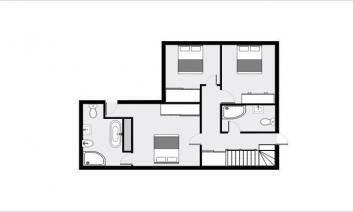 Downstairs there are three double bedrooms (one with large en-suite), plus a family shower room. Outside there is a small courtyard area which is accessed via one of the bedrooms. Week-long bookings are available from Saturdays. Short breaks may be available, please check the availability calendar. The property will be ready from 4 pm on the day of your arrival. Please depart by 10 am on the last day of your stay. Please leave the property clean and tidy so that we can guarantee it will be ready on time for our next guests. Sorry, no children under 10 years of age. No dogs. Strictly no smoking. 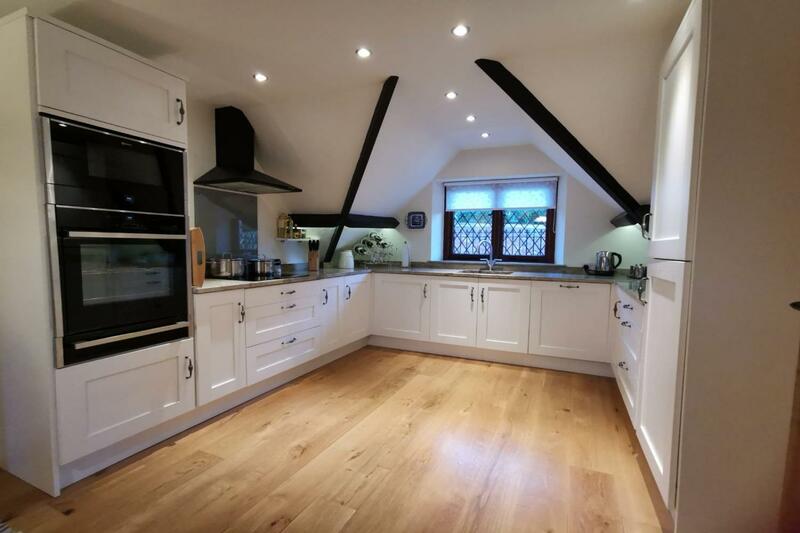 The kitchen is fitted with an electric double oven and induction hob, there is also a microwave, integral fridge/freezer, dishwasher,  kettle and toaster. The washing machine and tumble dryer are situated in the cupboard under the stairs. 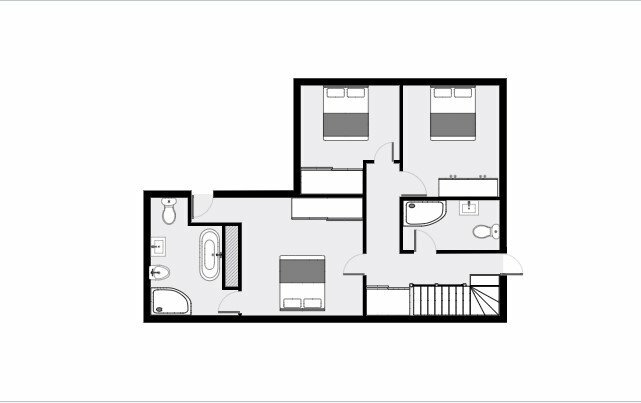 There is a TV with DVD in the sitting room and in the main bedroom, and wireless broadband is available throughout the property. Electricity and heating costs are included in the price of your accommodation. Two Grooms Cottage has central heating throughout which can be adjusted to suit your preferences. There is a wood-burner in the sitting room with a working chimney, logs are not provided. If you decide to use the wood-burner please clean it out afterwards (when the ash is cold), thank you for your co-operation. Sorry, no dogs at Two Grooms Cottage. Also, no children under the age of 10 years. There is a small courtyard area with a bench and some potted shrubs on the lower level of the cottage, this is accessed via one of the bedrooms. There is a further seating area for two outside the cottage on the upper level, with a small table and on a clear day, you can enjoy distant sea views from here. There's a parking space for one car directly beside the house, where the pedestrian gate leads to the front door, this is an ideal spot for loading and unloading the car. 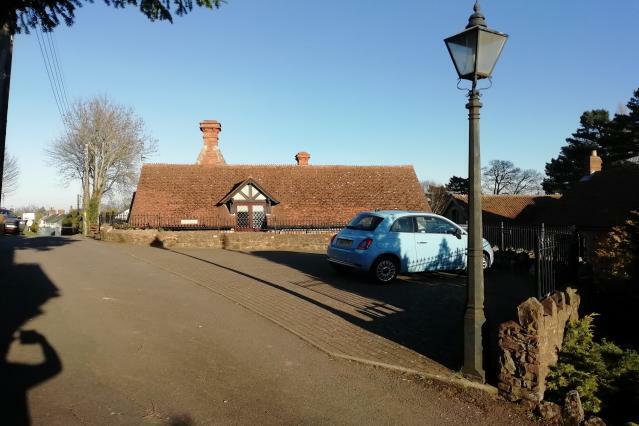 There is further parking for one car (possibly two depending on the size of your vehicles) on the drive at the far end of the house. The area allocated to Two Grooms Cottage is clearly marked with a sign. Please respect our neighbours by not using or blocking access to their parking area. The above are all within easy walking distance from the cottage. Exmoor is a great place to visit, whether you're looking for sedate days looking around shops and galleries, or wanting to take day-long expeditions across the moors and through woodlands. You can take a days outing to the lovely village of Porlock and Porlock Weir. Also a drive to Lynmouth (with lovely scenery on the way) is recommended. There you can take a trip on the cliff railway and visit the Lynmouth flood Museum. A trip on the West Somerset Steam Railway (a heritage railway with old steam engines) is also very interesting. The railway station in Minehead is on Warren Road. Further information and ideas of things to do are included in the welcome brochure in the cottage. In the vicinity of the cottage there are several pleasant walks from easy to challenging and offering wonderful views, for example, Galleys Hill, Conygar Tower, Dunster Beach. It is also very pleasant to walk around Dunster Castle's lovely park and also visit the medieval watermill. This is an extremely comfortable and well stocked holiday house, especially the kitchen. It has the bonus of also not feeling like a 'holiday house' and that you are walking into, and waking up, in a home. All the soft furnishing and beds are excellent quality, it has every kitchen utensil needed, and the showers are great. It has off street parking for at least 3 cars (we managed 4 at one point when a friend arrived) and is 3 minutes walk from a wonderful pub with good food and service; AND who happily who gave us a bag of ice that lasted us 3 days!